Traditionally, HR software has been focused on helping the company as a whole succeed. Our platform challenged that traditional thinking to help over 2,000 customers not only act on employees feedback but also, use manager and team effectiveness tools to build culture first companies. Leading the culture first movement includes challenging our own status quo, so we decided that we could do even more. With the deeply rooted belief that a company is nothing but the sum of its people, we set up to elevate our offering to include a solution that empowers employees to achieve their potential. 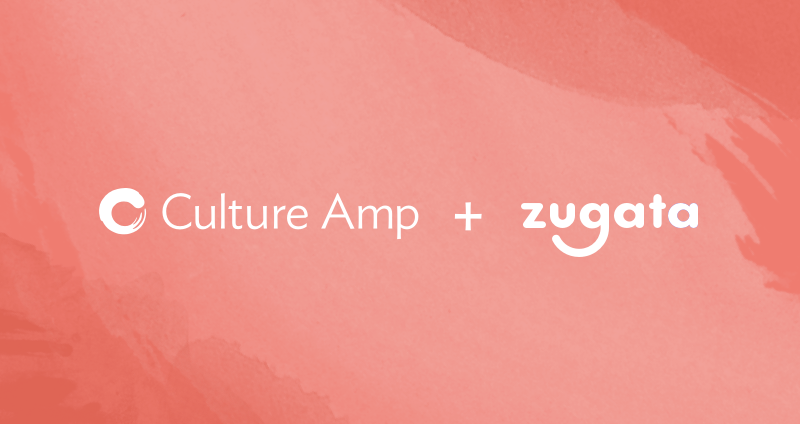 That vision and resolve guided us through a process with a significant milestone: today, we’re proud to announce that Culture Amp has acquired award-winning performance management firm, Zugata. Historically, performance reviews have had some strong opponents. Countless articles condemning the performance review exist, many with dramatic claims like, “Performance Reviews are Dead” and “Performance Reviews Are Pointless And Insulting.” The Harvard Business Review decrees, “Let’s Not Kill Performance Evaluations Yet” - and we agree. Traditional performance reviews may be a flawed system, but people crave developmental feedback and an environment that enables them to do their best work. Similar to performance reviews, employee engagement has opponents that would dismiss it as a buzzword - likened to employee happiness or satisfaction. However, we know that employee engagement is more than that, it represents the levels of enthusiasm and connection employees have with their organization. It's a measure of how motivated people are to put in extra effort for their organization, and a sign of how committed they are to staying there. Employee engagement is an outcome that depends on the actions of an organization, particularly the actions driven by leadership, managers, and people teams. Culture Amp research has shown that companies with higher employee engagement get better ROI. Understanding what drives employee engagement in a company’s unique context allows them to take action that will create better ROI and company culture. If someone is not engaged at work, they’re unlikely to perform to their potential. Culture first companies know it’s not just about measuring engagement and giving out performance ratings, we must connect the dots to enable people to be engaged and doing their best work. At Culture Amp, we’re proponents of ongoing performance development and taking an informed approach to improving employee engagement. With well-rounded data from the individual and organizational level, you can create a culture of feedback that fuels both company and individual growth. 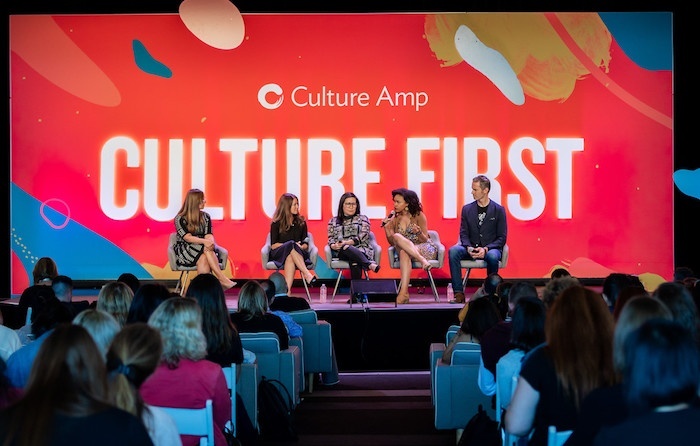 Culture Amp now has individual and organizational feedback for over 3,000 organizations which enables us to strengthen our collective intelligence for companies of all sizes and industries. We believe that creating positive change in organizations requires creating positive change in individuals. For the first time, leaders will be able to combine individual, team, and organizational feedback to not only identify high performers, but also to pinpoint what is driving this performance, how it impacts their teams, and how to replicate this across the rest of the organization. 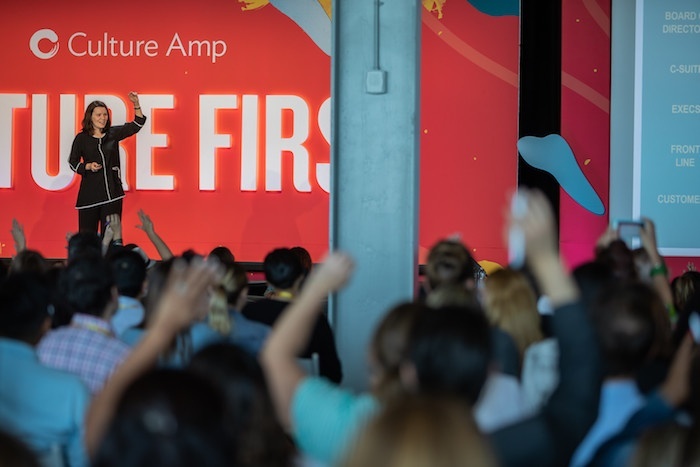 Culture Amp is now the world’s first complete solution for employee feedback and performance.